Rocking the same motif as the Air Jordan 1 Retro High OG Metallic Navy, this version of the Air Jordan 1 comes with a White leather uppers contrasted by the Metallic Red patent leather hits noted on the ankle and Nike Swoosh. 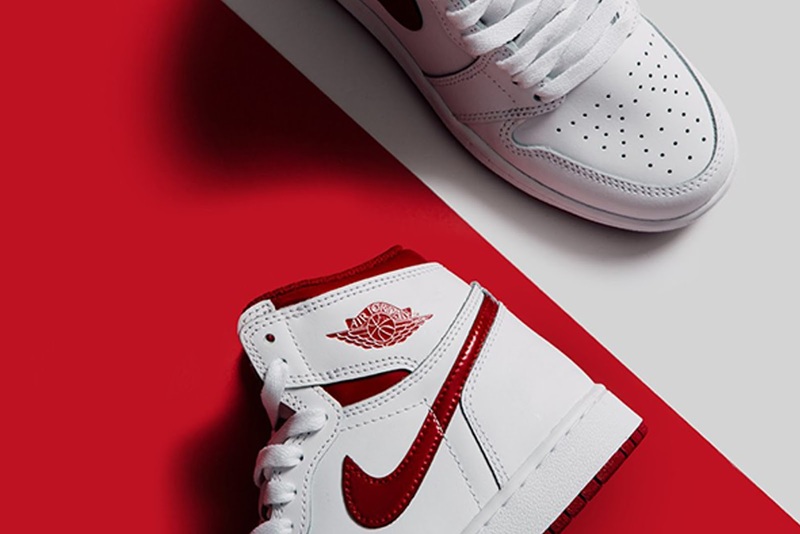 More of the same Red hue can be found on the Nike Air branding on the tongue, Wings branding on the ankle and the outsole down low. 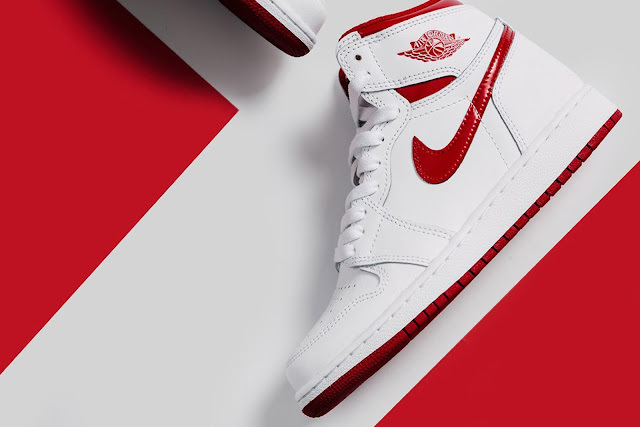 Completing the look of the shoe is the White midsole, White laces and White tongue. 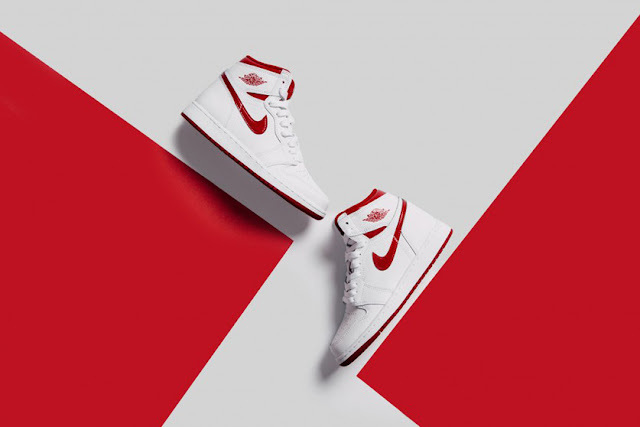 The Nike Air Jordan 1 Retro High OG Metallic Red drops on Saturday, 6 May 2017, at selected retailers.